In Map Adventures, two players navigate maps and visit landmarks together! Take your pictures and explore the excitement of the farm and city. Dress up with cows, put together dinosaur bones, dig in the sandbox, and dance with disco chickens. Try not to scare the goats in the Goat Challenge! 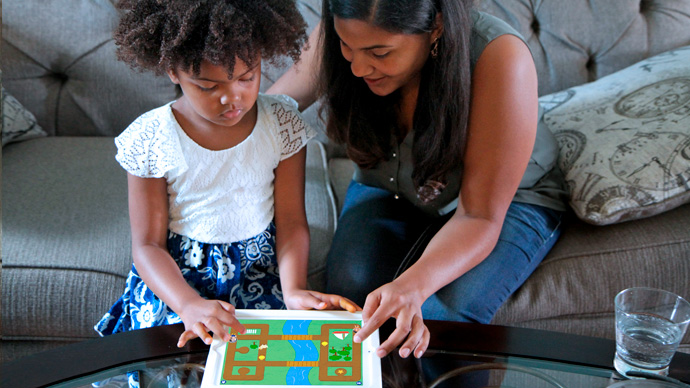 This app provides a variety of ways for children to practice their spatial thinking skills. Spatial thinking is the math that is used when navigating, reading maps and diagrams, and following directions to put things together. 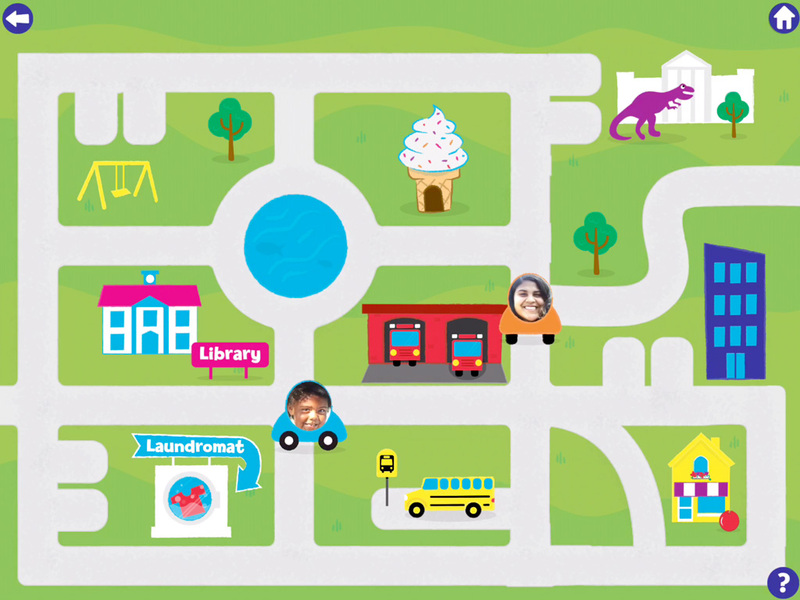 Map Adventures is part of the Early Math with Gracie & Friends math-focused preschool curriculum supplement that includes both classroom and at-home resources. Findings from a pilot study suggest that the use of Map Adventures and the corresponding hands-on activities has potential for helping preschoolers learn about spatial concepts.